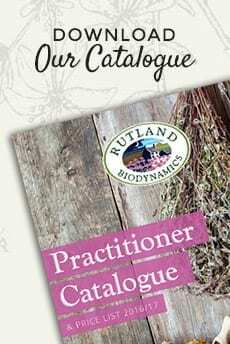 The RUTLAND ORGANIC MEDICINES SCHEME (ROMS) is a brand new, private, labelling scheme that is independent of big retailers, commercial certification schemes and government control. It is a guarantee that any such labelled tinctures are made with herb grown in an organic system certified on the basis of Article 29(1) of Regulation (EC) No 834/2007 and of Regulation (EC) No 889/2008 (as amended), but also made with alcohol that complies with the European Pharmacopoeia and highly filtered bore-hole spring water from beneath our farm. ROMS has been set up due to on-going problems with existing organic certification bodies who have been forced to chase their tails by changing government interpretation of regulations, to change their policies and to back-track on their intentions to fairly regulate organic medicines and who will now only offer a certification which prohibits the use of an organic symbol and that operates outside of EU regulations, for a considerable fee, and providing that an organic excipient such as EU produced ethanol is used. Organic ethanol is now exorbitantly priced (two to three times the price of conventional) but often of poorer quality than pharmaceutical grade. There has in the past been no organic ethanol available conforming to EU medicines quality standards on residues (for examples, levels of aldehydes, ketones and other chemical groups). Even if there might be availability, there is no sufficiently regulated way of controlling for batch quality until after delivery from the EU distilleries by which time it is effectively too late to do anything about it, if it fails tests. Our guiding principal has always been that ‘organic’ should stand for the highest quality – but this has not always been the case with European ethanol. There is even less (if indeed any) availability of non-wheat based organic ethanol, which may be an issue to practitioners with patients with intolerances to gluten. There is no difference between organic and conventional methods of manufacturing ethanol. It is a highly controlled industrial rectification process. As well as this insistence on using ethanol of variable quality, organic standards continue to permit the use of chlorinated mains water, that also contains a vast array of legally permitted pollutants. We believe that our customers want organic herbs in their medicines for a number of reasons and very high amongst these reasons is that it is a guarantee that they are unadulterated with modern synthetic chemicals used widely in the farming industry across the globe. Rutland Biodynamics Ltd will therefore continue to produce organic herbs and will continue to guarantee herbal medicines made with organically certified herbs with the ROMS symbol. Our organic herbs will continue to come from our own or other organically certified farms (issued on the basis of Article 29(1) of Regulation (EC) No 834/2007 and of Regulation (EC) No 889/2008, or their accepted international equivalents). Our own farm here in Rutland has been certified by the Biodynamic Agricultural for the remainder of 2017 growing season (GB-ORG-06 Registration no 561). Rutland currently uses very high grade (pharmaceutical quality) ethanol distilled from French sugar beet, without any risk of gluten in the distillation product and which is guaranteed to comply in every case with the full requirements of the British and European Pharmacopoeia for residue levels. In addition, unlike other manufacturers, we do not use public mains water due to increasing concern over dissolved environmental residues but use either highly filtered water which is piped from deep underground, or pharmaceutical grade purified water, for all our activities. Every single batch of every product leaving us is tested for conformity to European Pharmacopoeia microbiological limits.